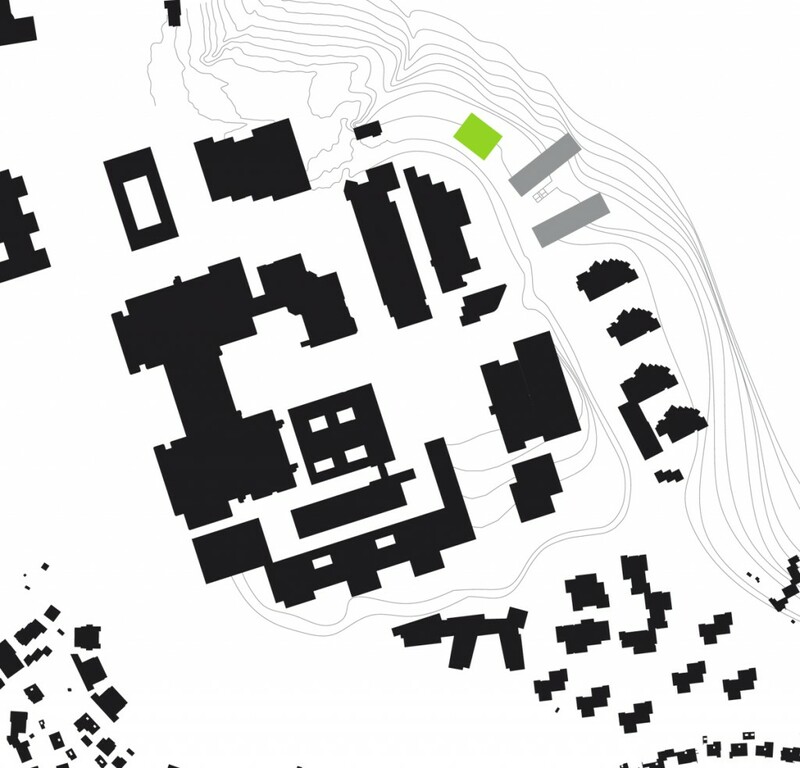 As the third construction phase on the neurosciences campus, the new German Center for Neurodegenerative Diseases (DZNE) forms the urban development prelude to the clinic area on the Schnarrenberg hill in Tübingen. This compact building extends three stories above the adjacent buildings – the research and multi-use building (FVG) (construction phase 1, 2004) and the integrative neurosciences building (CIN) (construction phase 2, 2011) – and stands with its main entrance on the plaza between CIN and DZNE. Public areas such as the exhibit, conference and seminar rooms are on the E03 entrance level with access to the plaza and can be connected to form a large exhibit and communications space. 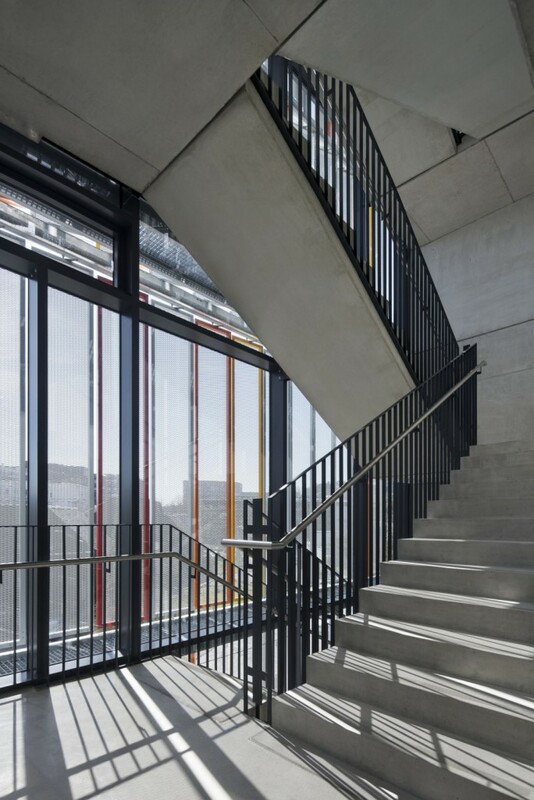 The glazed façade of level E03 forms a sort of transparent connection between the massive plinth of the two lowest levels and the seemingly enclosed upper floors. The well-equipped laboratories with ancillary and special-purpose rooms are on floors E04 to E07, fronted by evaluation stations on the northeast and southeast sides. Individual offices line the northwest façade. The public area for meetings, breaks and kitchenette is situated in the southwest of every floor. 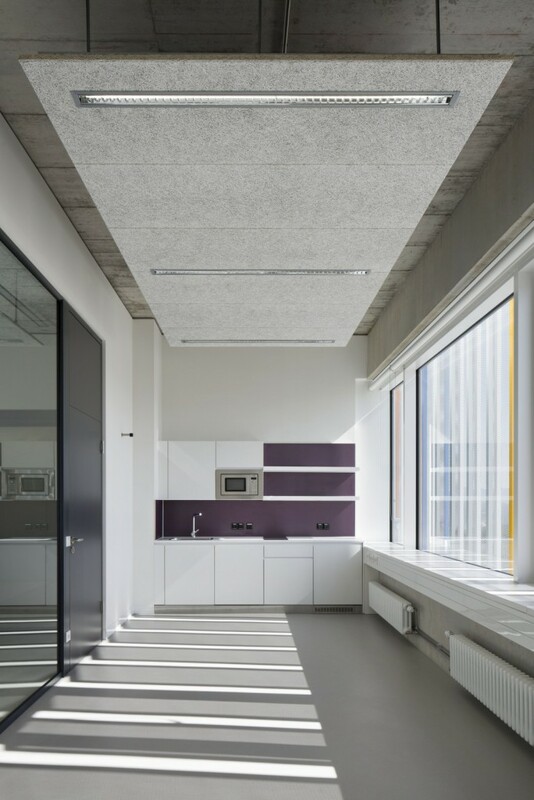 A large portion of the lowest floors, E01 and E02, is cut into the steep site and, in addition to a naturally lit open office, they house rooms for robotics, animal experiments, storage, equipment and building services. 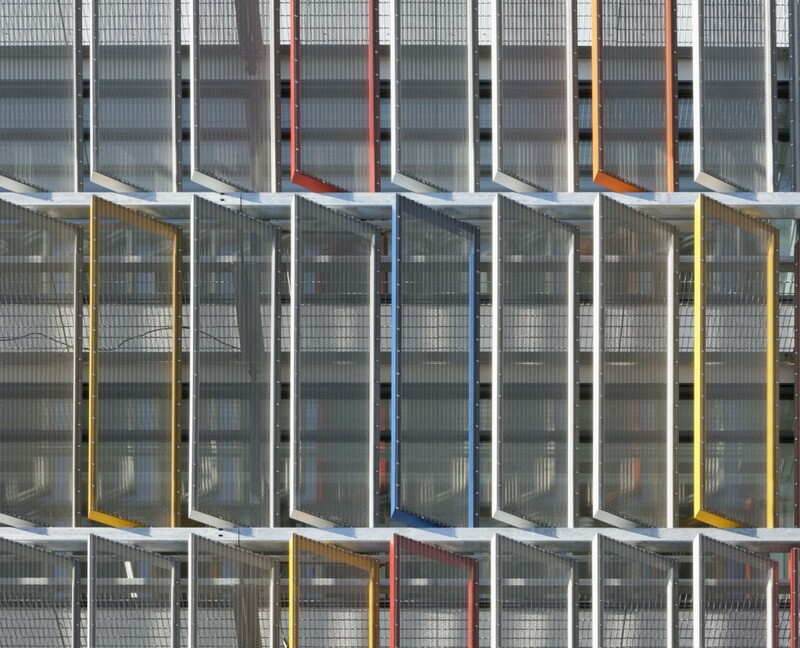 The façade of the new building distances itself from the FVG and CIN in accordance with its role and is characterised by vertical expanded metal lamella that emphasise the tower-like character of the structure. 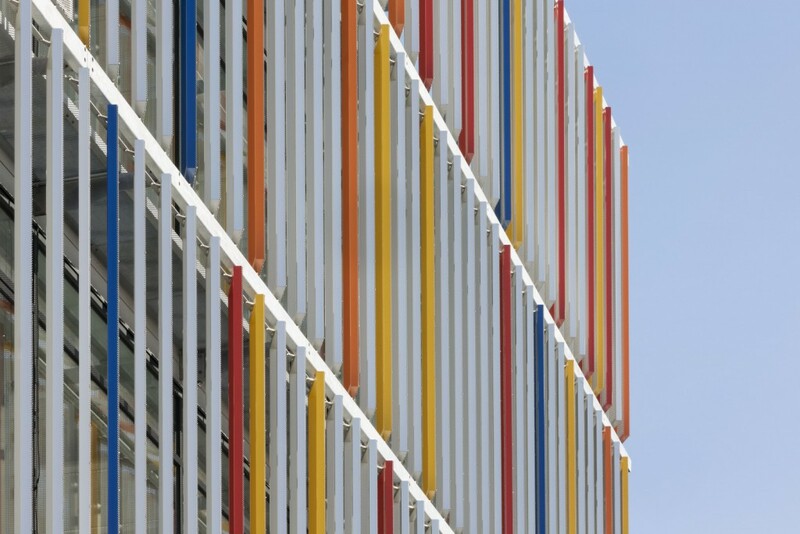 The lamella in front of the offices and evaluation stations are adjustable, so when open, yellow, orange and red frames contrast with the otherwise subdued façade colours.